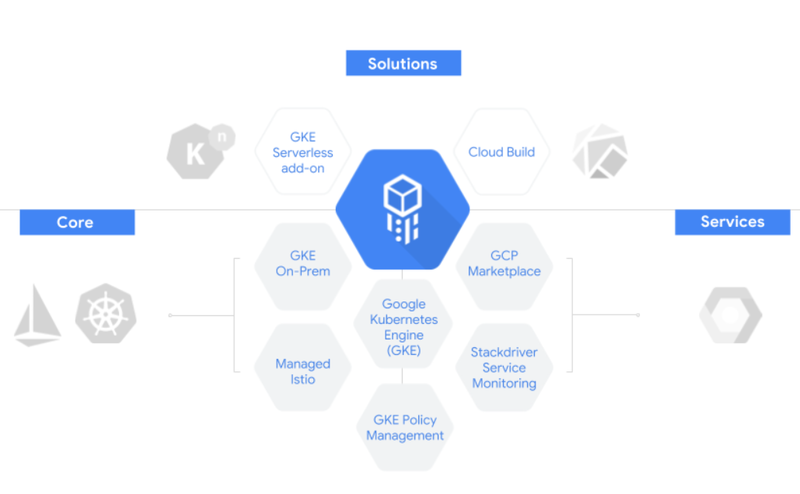 Google Cloud Platform posted an online guide for building a render farm using its scalable architecture. Render farms, which are needed by content creators for outputting digital productions, can be very expensive to build on-premise and require a lot of electricity to run. 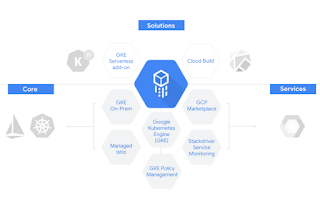 GCP is now enabling render applications to scale from 2- or 4-core VMs all the way to a 160-core VM with up to 3844 GB of RAM. Up to 8 GPUs may be attached to any VM to create a GPU farm. In its latest quarterly Emerging Risks Report, Gartner highlights a number of new risks for enterprises in using cloud resources, including new risks from cybersecurity threats, information disclosure leaks, and General Data Protection Regulation (GDPR) compliance. The report is based on a survey of 110 senior executives in risk, audit, finance and compliance at large global organizations. Gartner identifies social engineering and GDPR compliance as "most likely to cause the greatest enterprise damage if not adequately addressed by risk management leaders." Enterprises are also continuing to struggle with cybersecurity. Nevertheless, the research consultancy remains bullish on the growth of cloud services, predicting cloud computing to be a $300 billion business by 2021. The Berlin Commercial Internet Exchange (BCIX), Berlin’s leading Internet Exchange Point, has selected the Coriant Groove G30 Network Disaggregation Platform to scale its distributed peering infrastructure. BCIX will use the Coriant platform to connect major data centers across Berlin. High-capacity neutral exchange services will include 100G Data Center Interconnect (DCI). 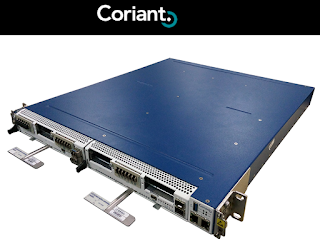 Coriant said its flexible plug-and-play modular architecture and the recent introduction of a new Coherent Multiservice Sled, enables its Groove G30 solution to provide BCIX with a seamless and cost-effective path to higher interconnect speeds, including 400G client side and 600G line side transmission – without the need for forklift upgrades or costly and complex flexi-grid ROADMs. 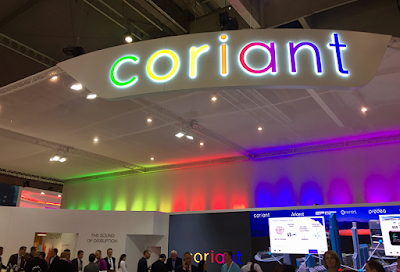 Coriant introduced a new Coherent Multiservice Sled for its Groove G30 Network Disaggregation Platform. The new 1.2 Tbps modular sled leverages advances in integrated photonics and the latest 16nm coherent DSP. Telstra reported flat FY18 revenue of AU$26 billion, with EBITDA declining by 5.2 percent to AU$10.1 billion. Net profit was AU$3.5 billion, down by 9 percent from AU$3.9 billion in FY17. The company attributed its declining profit to the National Broadband Network (nbn) and mobile competition. Telstra CEO Andrew Penn said the results showed strong customer growth for the year and good progress on Telstra’s productivity program, however, the continued downward pressure on EBITDA and NPAT caused by the further rollout of the nbn and lower Average Revenue per User (ARPU) clearly reinforced the importance of the T22 strategy. “We have seen strong subscriber growth, particularly in the second half of the year, adding 342,000 retail mobile customers, 88,000 retail fixed broadband customers and 135,000 retail bundles during FY18,” Penn said. “Despite this, the challenging trading conditions are expected to continue in FY19, including ongoing pressure on ARPU and further negative impact of the nbn network rollout on our underlying earnings. Fixed EBITDA (ex nbn C2C1)-29% negatively impacted by growing nbn network payments and loss of wholesale margins. NVIDIA reported revenue of $3.12 billion for its second quarter ended July 29, 2018, up 40 percent from $2.23 billion a year earlier, and down 3 percent from $3.21 billion in the previous quarter. GAAP earnings per diluted share for the quarter were $1.76, up 91 percent from $0.92 a year ago and down 11 percent from $1.98 in the previous quarter. Non-GAAP earnings per diluted share were $1.94, up 92 percent from $1.01 a year earlier and down 5 percent from $2.05 in the previous quarter. “Growth across every platform - AI, Gaming, Professional Visualization, self-driving cars - drove another great quarter,” said Jensen Huang, founder and CEO of NVIDIA. “Fueling our growth is the widening gap between demand for computing across every industry and the limits reached by traditional computing. Developers are jumping on the GPU-accelerated computing model that we pioneered for the boost they need. For its data centers category, quarterly sales amounted to $760 million, driven by demand from hyperscale customers. Intel has acquired Vertex.AI, a start-up based in Seattle, for its work in deep learning. Financial terms were not disclosed. Vertex.AI has contributed to the PlaidML deep learning open source project, which Intel plans to transition to the Apache 2.0 license. Vertex.AI is now part of Intel’s Artificial Intelligence Products Group. Intel's Data Center Innovation Summit this week in Silicon Valley, which coincided with the annual Flash Memory Summit across the street at the Santa Clara Convention Center, was the company's big event for resetting expectations about its strategic direction inside the data center. Everyone knows that big data is the new hot commodity of our times, and that data centers are repositories where the new wealth is extracted and refined. Intel already dominates workload processing in this space with its well-entrenched Xeon franchise. Its new Optane storage promises to redefine the storage hierarchy in the data center. The third leg of the stool is communications, and while Intel has deep roots in Ethernet and network adapters, it has been burned before in trying to capture the switching and transport components of the data center. Intel's ambition is now clear -- to offer an end-to-end data center connectivity portfolio, leveraging its FPGA technology (the Altera acquisition) with its homegrown silicon photonics technology, to capture the $11 billion data center connectivity opportunity. Intel has some of these pieces of the puzzle already, especially its Ethernet network interface cards and FPGA-based acceleration cards. Earlier this year, Intel confirmed that FPGA-powered accelerator cards will be a range of Xeon powered servers this year from major OEMs, including Dell EMC and Fujitsu. The new component announced this week is a family of SmartNICs designed to offload workloads such as firewalling or load balancing from the local server processor or inline dedicated appliance. Intel plans to introduced a 2x25 Gbps SmartNIC, followed by a 100 GigE model. A number of vendors already offer SmartNIC products, including ones powered by FPGAs, and hyperscale cloud companies, including Microsoft and Baidu, have talked of their SmartNICs for supercharging their data center networks. Intel thinks this trend is just beginning and that the industry will soon see programmable NICs re-directing network traffic and orchestrating the movement of VMs and containers between available resources. Intel's new expectation is that FPGA, whether in SmartNICs or acceleration boards, will become a standard part of the infrastructure for applications from AI to video processing. The second major component of Intel's data center connectivity strategy is Silicon Photonics, where it claims an advantage gained from years of R&D into integrating and manufacturing lasers with Indium Phosphide.